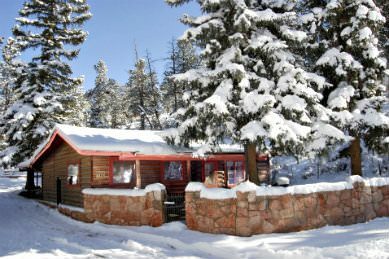 Plan a long-awaited and much-deserved getaway at Rocky Mountain Lodge, and our cabins near Colorado Springs. 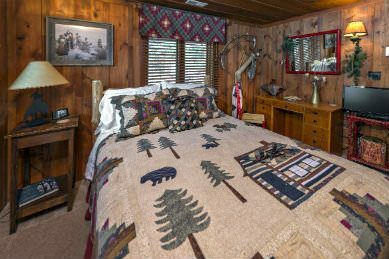 Located in Cascade, CO, our vacation rentals are perfectly situated for a honeymoon, weekend getaway, or outdoor adventure. Be sure to check this page often to see our current specials. 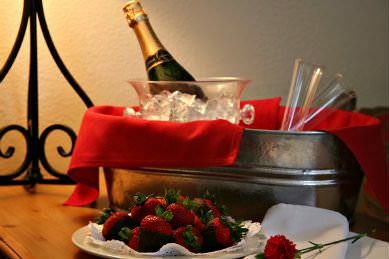 Our Basic Romance Package, which includes a bouquet of roses, a bottle of chilled sparkling cider, chocolate-covered strawberries OR chocolate truffles (depending on availability), a fruit and cheese platter with a variety of fruits, cheeses, and crackers; and two of our custom Rocky Mountain Lodge etched souvenir champagne flutes. 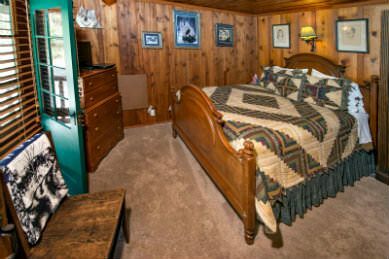 Two fantastic, relaxing, one-hour massages (in your room when staying in the Cabin, Cottage, or Ramona Room, or at the massage therapists’ studio when staying in the Timberwolf Room, Ute Indian Trail Room, or Midland Room). $25 gift card to Wines of Colorado to enjoy lunch or dinner. Enjoy creekside dining during warm weather days and enjoy the ambiance of dinner by fire during colder days. Try wine tasting, or a signature Colorado wine burger or buffalo burger, in addition to other menu items such as sandwiches, chicken, steak, pasta, cheese plates, salads, and more. Experience a natural terrain zipline course using cliffs and steep wooded forest for launch and landing zones (no artificial platforms). An extreme activity at over 6,500 feet in elevation. 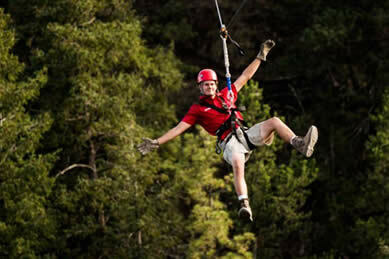 Zip lines vary in length from 225′ to over 650′ and are full of adventure and thrills. Subject to weather; tax included, gratuity not included; price subject to change without notice; full amount due at time of booking, non-refundable (unless cancelled due to inclement weather). Take a spectacular balloon flight over the Pikes Peak region! 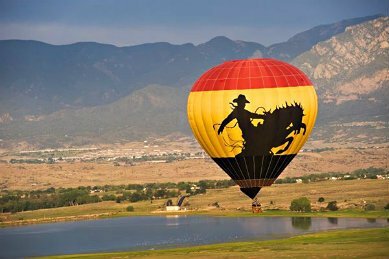 Explore beautiful Colorado from the basket of a hot air balloon. Each flight is a unique journey guided by the wind and the skills of your pilot. At the highest flight levels, snow-capped mountains, rivers and high plains are visible for over 100 miles in all directions. Floating lower over the foothills and ranch land you will often see mule deer, coyotes, jack rabbits, and even pronghorn antelope … animals that are normally too shy to let you approach when you are walking on the ground. Flights subject to weather; tax included, gratuity not included; price subject to change without notice; full amount due at time of booking, non-refundable (unless cancelled due to inclement weather). Historic Royal Gorge Route Railroad in Canon City provides the best experience of the Royal Gorge. Since 1879 – Colorado’s oldest scenic line combines history, excitement, excellent service and delicious food & entertainment. To experience the Royal Gorge, you’ve got to get down into it. The train takes you there! The Historic Royal Gorge Route Railroad is considered to be one of the most scenic train rides in the world. 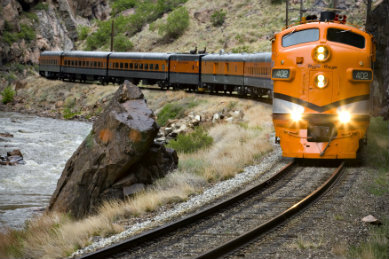 The train takes you on a 24-mile journey through the 1,000-foot-deep Royal Gorge, alongside the raging Arkansas River, where you’ll have the opportunity to observe Bald Eagles, Blue Heron, Rocky Mountain Bighorn Sheep, Mule Deer, and flora, native to the gorge. The Royal Gorge Route has combined a Colorado nature show with classes of service and comfort for every budget from Coach class, to glass-topped Vista Domes, Gourmet Lunch, Dinner, Murder Mystery, and Winemaker’s Dinner Trains. Visitors from around the world make the Royal Gorge Route Railroad a must stop when visiting Colorado. For all trains: tax & gratuity not included; prices subject to change without notice; full amount due at time of booking, non-refundable if canceled or a no show. Join the thousands of visitors who have experienced the Ultimate Ride with Challenge Unlimited. Your 20-mile downhill adventure from the summit of the world’s most famous mountain…Pikes Peak, will stay in your memories long after your vacation is over. This mountain bike trip begins at Challenge Unlimited’s office where you will be fed breakfast and fitted with helmets and bikes. You will then head off by van for the summit of Pikes Peak (14,110 feet). 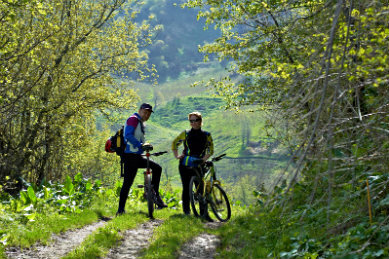 Once on the summit, the guides will give you detailed instructions on biking and riding safety, and off you go… As you descend down the mountain, you will pass through five different life zones, each zone having a different climate, different vegetation, and wildlife. Keep your eyes open for eagles, deer, elk, Rocky Mountain Big Horn sheep, black bears, marmots, and an occasional mountain lion. Your descent will take two-and-a-half to three hours. Tax & gratuity not included; prices subject to change without notice; full amount due at time of booking, non-refundable if canceled or a no show. HALF-DAY ARKANSAS RIVER RAFTING: Half-day river trips are ideal for first-time floaters or those wishing to enjoy whitewater excitement but only have a limited amount of time available. *Rates include tax, park, and user fees. *Please note there is a $5 premium on all weekend trips. 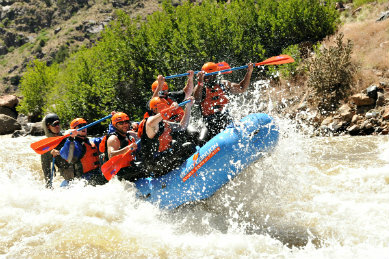 *Minimum age of 15 years old for Royal Gorge rafting trips. FULL-DAY WHITEWATER RAFTING TRIPS: Full-day river trips are ideal for those looking to experience the best of what Colorado’s rivers have to offer. Bighorn Sheep Canyon/Parkdale Run: Bighorn Sheep Canyon is the choice for those seeking mild to moderate excitement with miles of scenic beauty. As the name implies, Bighorn Sheep populate this area extensively and are most often seen in the morning. Gratuity not included; prices subject to change without notice; full amount due at time of booking, non-refundable if canceled or a no show. 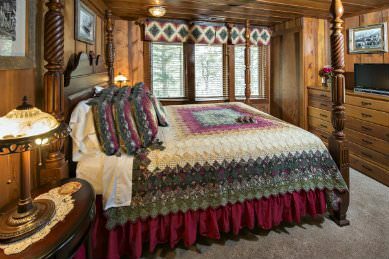 Enjoy the luxury of a professional massage in your Cabin or Cottage, or the Ramona Room. If you are staying in the Timberwolf Room, Ute Indian Trail Room, or Midland Room, you can go to the massage therapists’ studio for your massages. 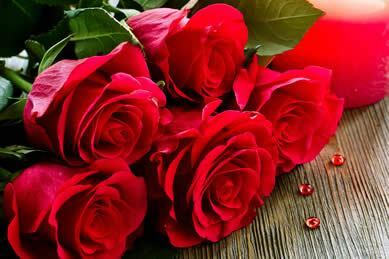 Massage therapists are trained in specialty massages including relaxing, deep tissue, prenatal massages, and more. 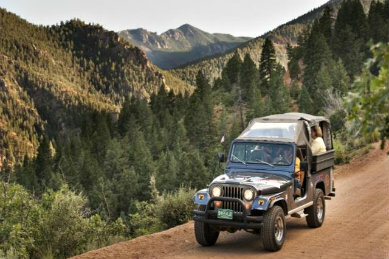 We offer two different Jeep Tours for out west adventures. *Tax & Gratuity not included; Prices subject to change without notice; Full amount due at time of booking, non-refundable (unless cancelled due to inclement weather). For guests who want a “softer” adventure: Old railroad tunnels, Garden of the Gods and two National Historic Districts (Old Colorado City and Manitou Springs) are included in this tour. 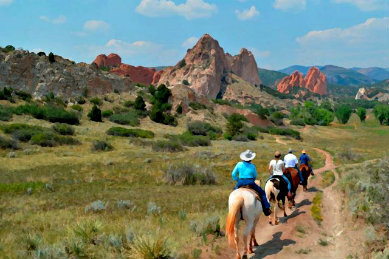 Your own personal Cowboy Guide will take you out of town via North Cheyenne Canyon past Seven Falls, Helen Hunt Falls and into the foothills of Pikes Peak and the Rocky Mountains. 2,000 feet above Colorado Springs, you will follow the old Shortline Railroad grade down through two tunnels to the Old Colorado City and Manitou Springs Historic Districts. The views out over the city and beyond to the plains of Kansas will show you exactly what inspired Kathryn Lee Bates to write the song America the Beautiful from here.The drive is completed with a tour of Garden of the Gods with its spectacular red rock formations. In the summer months, the top is off the Jeep and your photo opportunities are unobstructed. The tour is about 70% on paved road and 30% on dirt or gravel & is offered year-round! For a more “rough and tumble” experience: Enjoy the rugged beauty of the Colorado Rockies on this guided 4-wheel tour on back roads high above Colorado Springs. Almost the entire tour is on dirt roads and 4X4 trails high in the mountains in the Pike National Forest… as high as 12,000 feet above sea level! 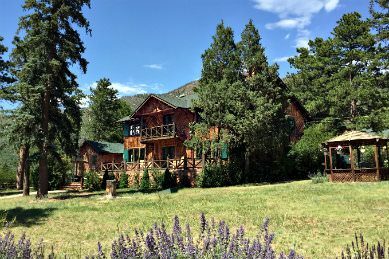 This is a remote and scenic activity highlighted by breathtaking views of Pikes Peak, the snow-capped Collegiate Peaks, alpine meadows, wildflowers, beaver ponds, and streams. This is the “Purple Mountains Majesty” that was the inspiration for America the Beautiful. 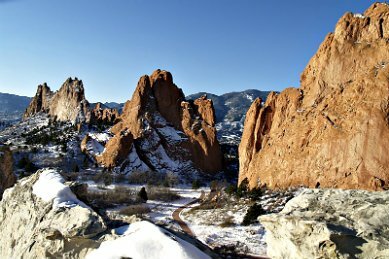 As you wind along the scenic trails of historical Garden of the Gods, your eyes will feast on the natural beauty of some of Colorado’s most famous red rocks and see spectacular views of Pikes Peak! Must be 8 years old and up; must weigh less than 200 lbs. 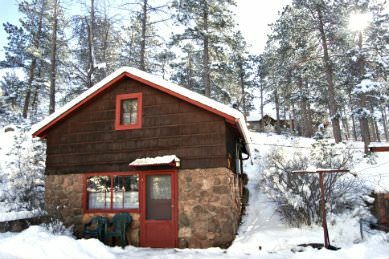 Book our Cottage for January 2nd through April 30, 2019, Sunday – Thursday nights, over Black Friday – Cyber Monday (November 23-26, 2018), and take 20% off your stay! Details: Available for stays of 2 nights or more in the COTTAGE only. Available Sunday – Thursday nights only; not available Friday & Saturday nights. Applies to new bookings only; may not be applied to existing reservations. May not be combined with other specials or discounts. 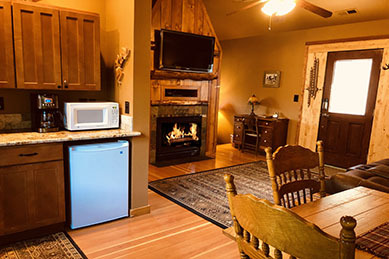 Discount applies to Lodging only; does not apply to add-ons or packages. Holidays and Local Events Excluded, other black-out dates may apply. Must ask for Black Friday-Cyber Monday Sale at time of booking. Must CALL to make reservations 719-684-2521, not available for online bookings. Book a room in our Bed and Breakfast Lodge from November – April, and book within 48 hours of arrival and take 10% off your stay. Details: PHONE reservations only, not available for online bookings. 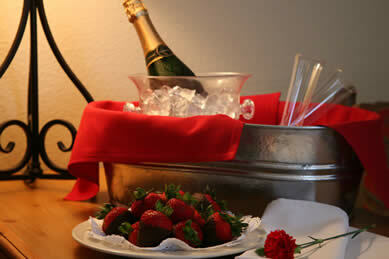 Must ask for the Procrastinator’s Special when making reservations. 10% discount for guests coming for an Andrew Wommack Ministries Conference. Multiple discounts may not be combined. Only 1 discount per reservation. ALL A La Carte Items require a 1-week advance notice!